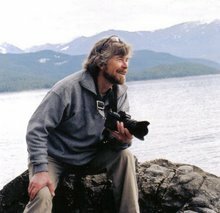 Doug Pyper is a photographer and photojournalist with a passion for British Columbia’s great outdoors. Today, he blogs STORYTELLER and provides links to both pdf and hard copies of an important report by the Western Canadian Wilderness Committee. Visit Doug’s site to read the WCWC paper but look around Doug Pyper Photographics and enjoy the art and commentary.